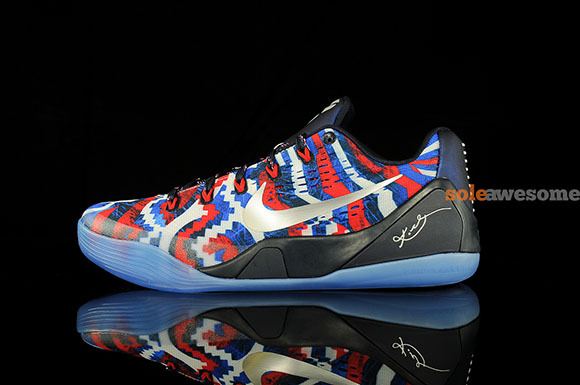 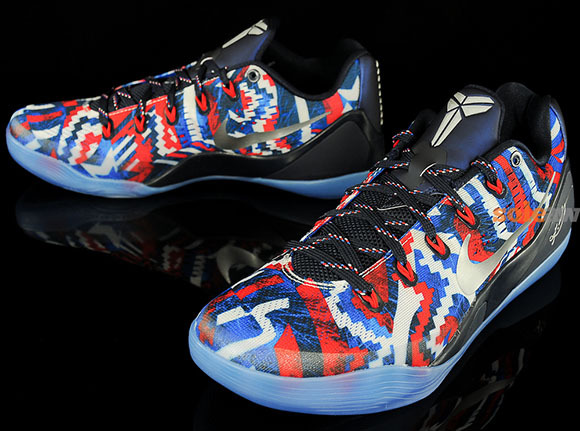 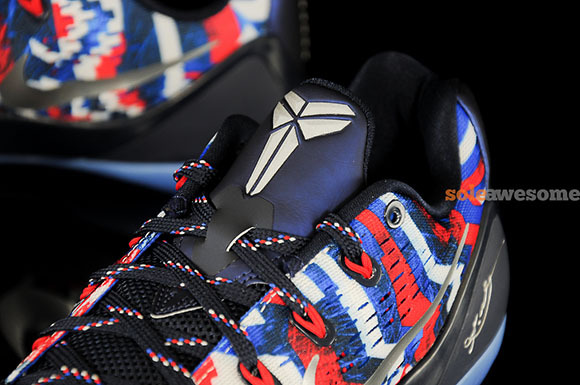 Independence Day is approaching and so is the day that the Nike Kobe 9 EM ‘Independence Day” releases. 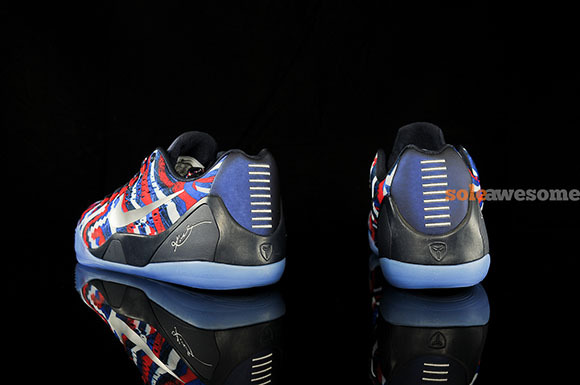 Today we showcase detailed images that may assist you on purchasing. 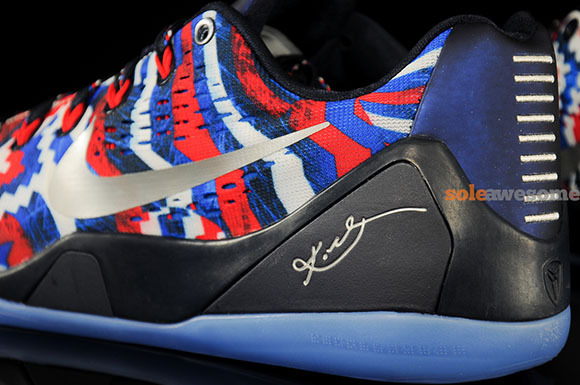 As expected, this pair of Kobe 9 EM comes in a USA theme of red, white and blue but what is cool is the design on the uppers and how the colors mix, same goes for the laces. 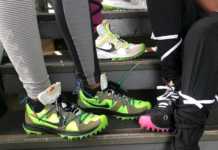 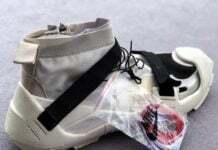 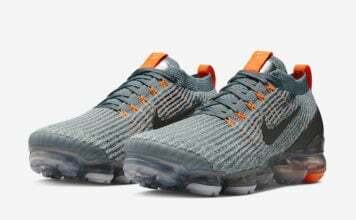 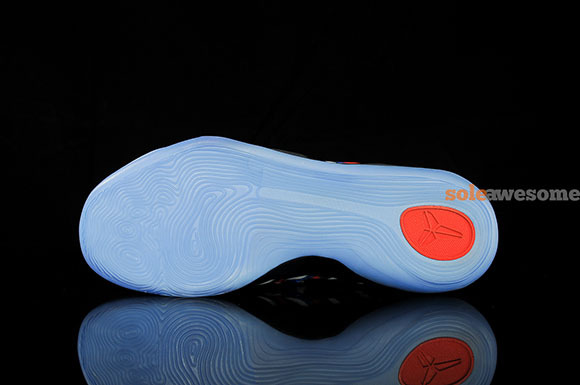 Translucent sole is added along with solid black on the liner and midsole. 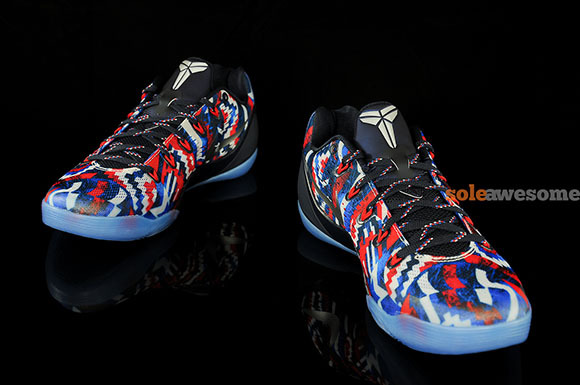 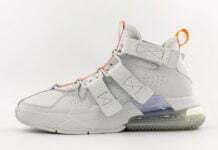 Landing at retailers on June 26th for $160.